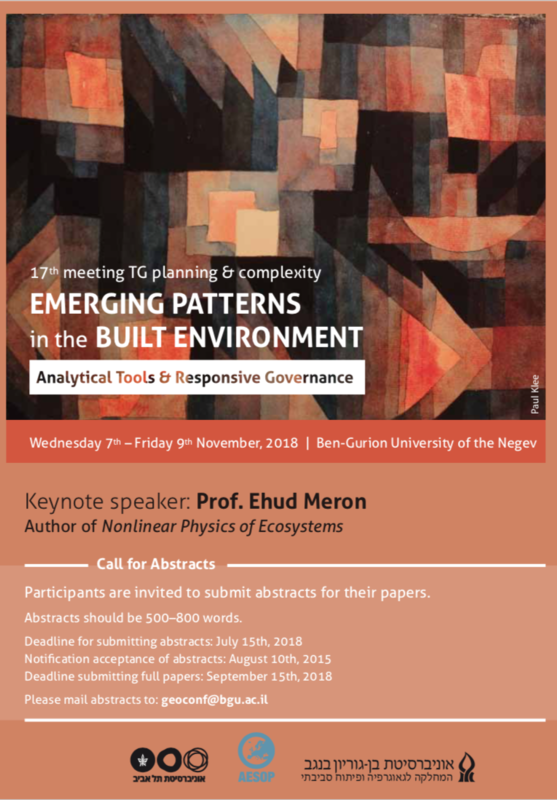 Our 17th meeting will be held from 7-9 of November, 2018 at Ben-Gurion University and Tel-Aviv University, Isreal. The event is hosted by our dedicated colleagues Prof. Nurit Alfasi and Prof. Itzhak Benenson. The theme for this meeting will be 'Emerging Patterns in the Built Environment: Analytical Tools & Responsive Governance'. On Wed. 7th and Thus. 8th of November we will stay in Beershaba and the final day of the conference takes place in Tel Aviv. Prof. Ehud Meron, amongst others know from the book 'Nonlinear Physics of Ecosystes', will deliver a keynote speech. You are invited to joint this meeting and to submit an abstract. Abstract should be between the 500-800 words and can be send to geoconf@bgu.ac.il. Deadline for submission is 15th of July 2018. Do not hestitate to distribute this call for abstracts in your network. 16th and 17thof November the 10th meeting of the Thematic Group on Complexity and Planning was held in Groningen, The Netherlands. 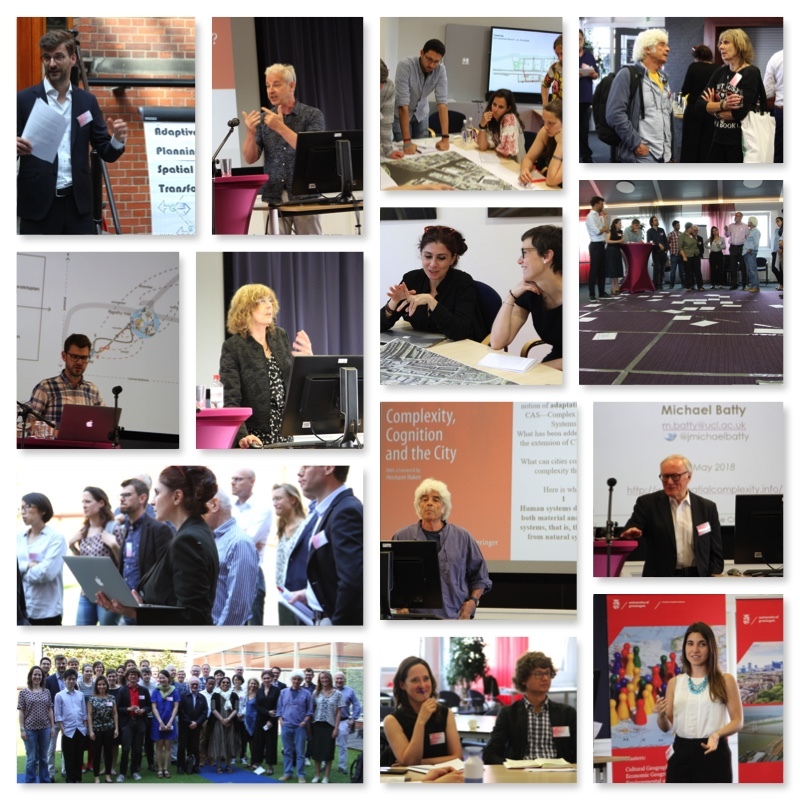 The theme of the event was ‘Complexity and the collaborative reationale to planning’. A keynote presentation was given by prof Judith Innes, Berkeley University, US. The event was hosted by the Department of Spatial Planning & Environment, Faculty of Spatial Sciences, University of Groningen. 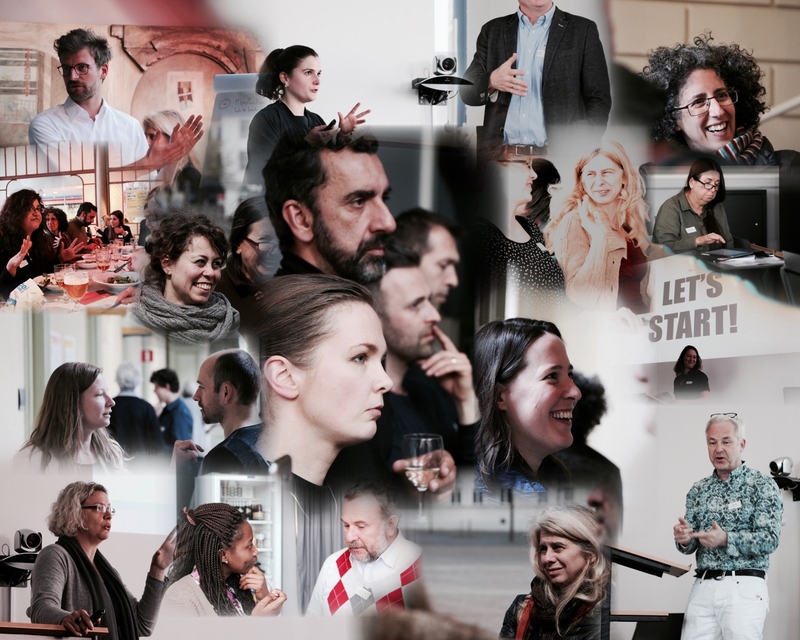 All video recordings of the paper presentations as well as the powerpoint files are now avaliable. 9th Meeting "Self organizing and Spatial Planning"
The aim of the group is to contribute to the creation and maintenance of a network of lecturers and researchers, who are willing to explore and debate new developments influencing both planning theory and practice in the light of non-linearity, resilience, adaptivity, complexity, complexity thinking and complex adaptice systems.